Welcome Corinne to the NNNO Advocacy Team! The National Nursing Network Organization proudly announces the addition Corinne MacEgan BSN, RN, CHPN to the NNNO Advocacy Team. Corinne enjoys creative writing, photography, and the occasional camping trip in her few spare moments. She is a member of the American Nurses Association, the Oncology Nursing Society, the Hospice and Palliative Nurses Association, and Sigma Theta Tau. She is the current President of the American Nurses Association\California. Corinne works as a bedside nurse on a progressive care oncology unit for Sharp Chula Vista Medical Center in southern San Diego. As a certified hospice and palliative nurse, she is able to see the substantial need for a public health nurse at the national level, as end-of-life care is a delicate subject that needs to have heightened awareness and education. A supporter of the National Nurse Act of 2015, Corinne hopes that any public health matter will be greatly advocated for by health care leaders within the government system. While end-of-life care is not necessarily that of illness prevention, Corinne believes that improved comfort and symptom relief fits under the umbrella of health promotion. She is completing her Masters in Nursing with a focus on nursing education, and is working diligently on a program to educate new hire nurses on end-of-life care for patients and their family members. Thanks to the continued amazing grassroots efforts by supporters throughout the country, H.R. 379, The National Nurse Act of 2015 now has 66 House co-sponsors! Thank you to the following U.S. Representatives for their support. Rep. Mike Coffman (CO-6-R) is the only member of Congress to serve in both Iraq Wars and we thank him for his service. 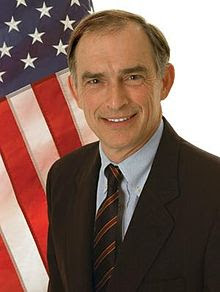 He currently serves on the Armed Services Committee and the House Committee on Veterans’ Affairs. Rep. Coffman is also a member of the House Nursing Caucus. 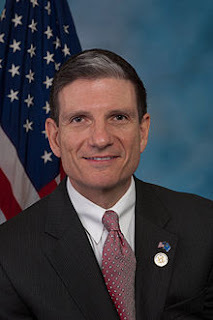 Rep. Joe Heck (NV-3-R) has more than 35 years in public service as a physician, Army Reservist, and community volunteer. His wife, Lisa, is a registered nurse. Rep. Heck serves on the Education and Workforce Committee, and the Armed Services Committee where he is Chairman of the Military Personnel Subcommittee. Rep. Pete Visclosky (IN-1-D) proudly represents the First Congressional District of Indiana, which includes Lake, Porter, and parts of LaPorte Counties. Rep. Visclosky is a member of the powerful Appropriations Committee and serves as Ranking Member on the Defense Subcommittee, where he works to protect America's fighting men and women on the battlefield and when they return home.